This bread could be made in various forms. Kayte made hers in a brioche pan. Di and I made the braid. It is a beautiful bread. 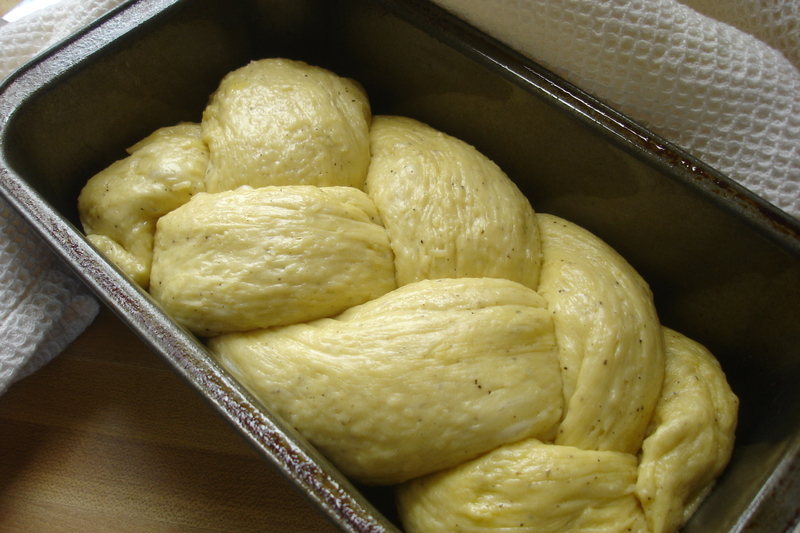 The dough was soft and silky and great to work with and had great rise. Even in the pan before baking it was a lovely bread. Kayte’s Bread is here and it is lovely. You can find the recipe on The King Arthur Flour site. The bread contains 3 whole eggs and 1 yolk so it qualifies for this month’s Bread Baking Day. 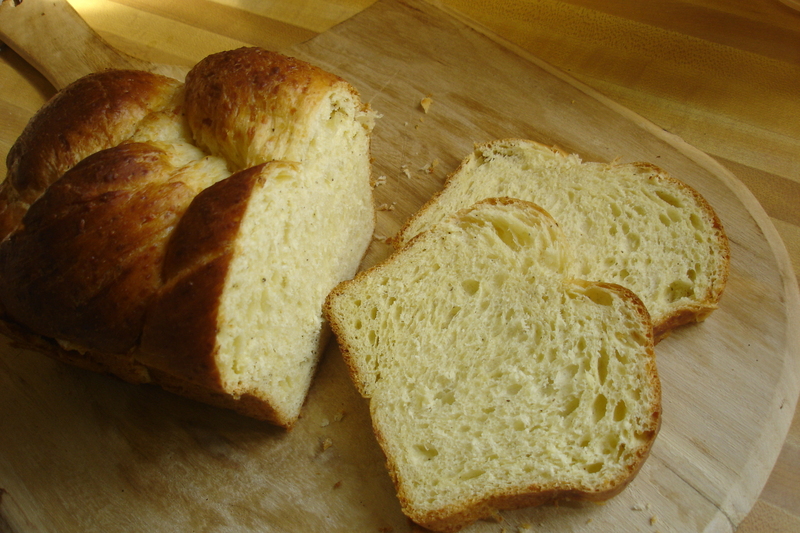 There will be a round-up of the BBD breads on Paulchen’s blog on April 5th. My post is done now, too! =) I’m really glad we got to bake this one together. And I definitely want to try it with Asiago next time. mmm, Asiago sounds delicious in this bread! Yours is so pretty and I know it tasted divine. A couple of years ago I baked an Italian Cheese Bread from Rose Levy Beranbaum, also for Bread Baking Day in April! It was one of my top breads of all time, but different from this recipe. I might have to bake them both and see the difference. It looks so light and I love the braid. I can imagine how lovely it must taste with Asiago cheese. Oh, your braiding is so stellar!!! This looks beautiful. 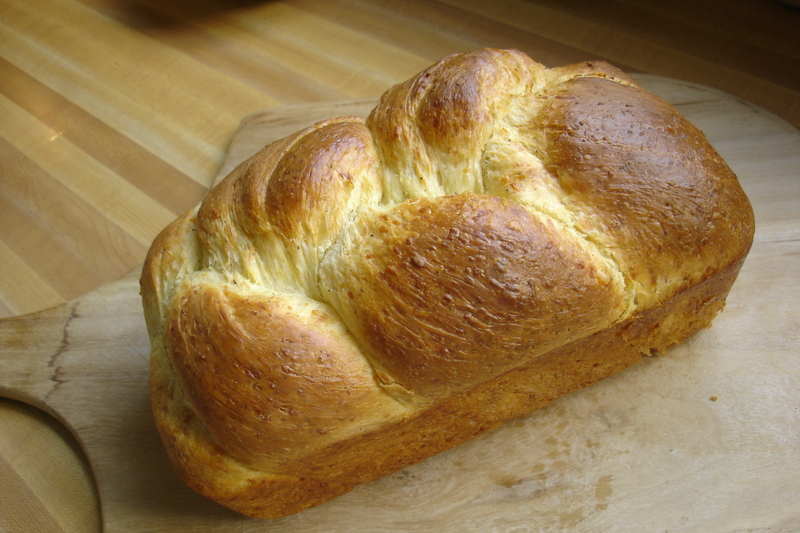 We loved this bread and I will make it again…next time I will try the braid! !